My iPhone Won't Charge! What Do I Do? 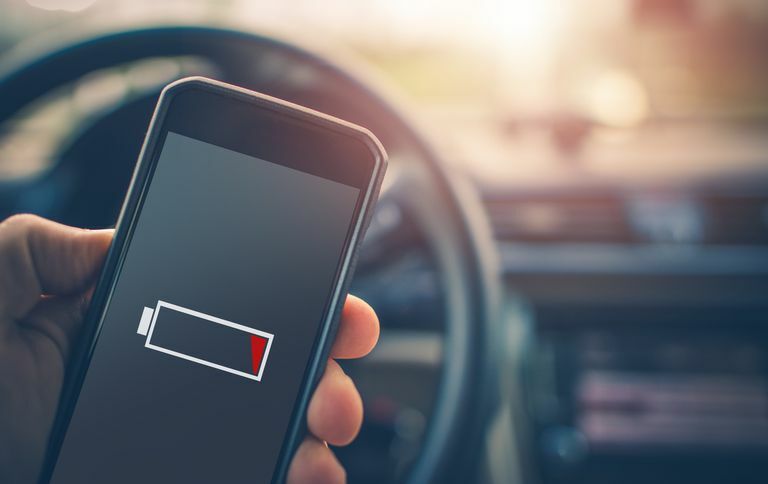 If your iPhone won't charge, it may be time for a new battery (and, since the iPhone's battery can't be replaced by the average user, you'll be paying for that service along with the battery itself). But not necessarily. There are a number of things that could be interfering with your iPhone's ability to charge its battery. Try these things before you head out to replace your iPhone battery. You'd be surprised how often restarting your iPhone can solve problems you've had with your device. It won't solve the more serious problems, but if your phone won't charge, give it a restart and try plugging it in again. Get instructions on how to do this in the linked article. On the hardware malfunction front, it's also possible that there's a problem with the USB cable you're using to connect the iPhone to your computer or power adapter. The only way to test this is to get access to another iPhone cable and try using that one instead. If you find that it is your USB cable that's broken, you can buy a new one. One good option is the iXCC Element Series USB cord, which at three-feet in length, comes with an authorization chip issued by Apple and is compatible with the iPhone 5 and higher. As an added bonus it also comes with an 18-month warranty. If you're charging your iPhone using a wall charger power adapter (rather than by plugging it into your computer), it could be the adapter that's preventing your iPhone from charging. Just like with the USB cable, the only way to check this is by getting another power adapter and trying to charge your phone with that (alternatively, you could also try charging via a computer instead). Once you know you're using the right kind of USB port, if you still can't get a charge, it may be the USB port itself that's broken. To test this, try plugging your iPhone into another USB port on your computer (or on another computer if you have one nearby). If that other computer recognizes and charges your iPhone, the USB ports on your computer may be broken. You can also try plugging in another USB device that you know for sure works. That can hep you rule out that the problem is with your USB ports. To make sure iPhone charges properly, you need to make sure you're charging it in the right place. Because the iPhone has high power demands, it needs to be charged using high-speed USB ports. The USB ports that are included on some keyboards don't provide enough power to recharge the iPhone. So, if your iPhone doesn't seem to be taking the charge, make sure it's plugged directly into one of your computer's USB ports, not the keyboard. Sometimes problems occurring with your iPhone require more extensive steps to solve them. One of those measures is Recovery Mode. This is like a restart but can help solve more complex problems. It's important to know that in Recovery Mode, you delete the data on your phone. When you use Recovery Mode, your phone will expect to have its data restored from a backup or to be returned to factory settings. This isn't a super common problem, but it's possible that lint from your pockets or purse could be jammed into either the iPhone's Lightning connector or your USB cable. If there's enough lint there, it could be preventing the hardware from connecting properly and thus stopping electricity from reaching the iPhone battery. Check your cable and dock connector for gunk. If you find it, a shot of compressed air is the ideal way to clear it but blowing will also work. If none of those things work, the truth almost certainly is that your iPhone's battery is dead and needs to be replaced. Apple charges $79 plus shipping for the service. Spending some time at a search engine will turn up other companies that provide the same service for less. It's worth remembering, too, that if your iPhone is less than one year old, or if you have AppleCare, battery replacement is covered for free. Through December 31, 2018, some the service fee for some iPhone battery replacements is only $29. This reduced pricing is only good for models between iPhone SE and iPhone X. To learn more about iPhone batter replacement pricing or start a battery replacement claim, go to the iPhone battery replacement support page.